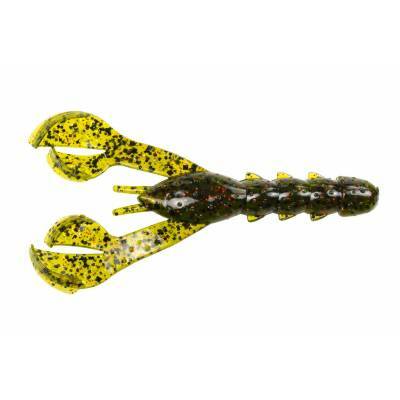 Strike King Rage DB Craw - Watermelon Red Flake. 4" softbait with a streamline design make this an excellent flip bait for colder waters or when bass aren't looking for fast-paced action. Great choice for Carolina rigs, rigged weightless or as a jig trailer. 7 per package. Assorted colors available.